With lot's of simple, great value gift options for you to choose from you can create great looking personalised photo gifts for your friends and family! Create great looking personalised photo gifts for your friends and family online. there are lots of wonderful gift ideas for you to choose from, including acrylic blocks and wall panels, placemats, coasters, mugs, mouse mat, keyrings, jigsaw puzzles, jute bags and more. Photo gifts for kids or from them, personalised with their favourite pictures. Choose from water bottles and lunch boxes to special day cards and jigsaws, you can create collage designs and add titles and comments too! Kids love to give and receive these unique presents. Tell your own photo story with our range of personalised photo books. 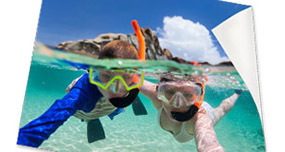 They're a great way of sharing your favourite memories time and again. With a choice of sizes, designs and layouts you can create a unique photo book to record and remember any special event. Whether you want to showcase an individual photo or create a collage on canvas - we'll turn your digital photos or artwork into gorgeous mounted canvas prints. 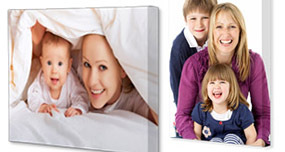 A mounted canvas makes a wonderful gift, the online photo canvas creator is so easy to use too! Brighten up your walls and give them the wow factor with poster prints made from your favourite photos. Choose from a single image, use one of the prepared layouts or create your own photo collage. The Snapgifts poster prints creator is really easy to use and fun too! Showcase your favourite photos with a personalised photo calendar or photo diary. 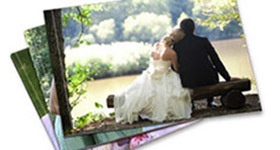 Photo greetings cards are also a great way to make someone feel special and leave a lasting impression. 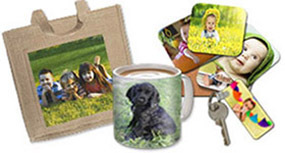 All our photo products are customisable, see for yourself! 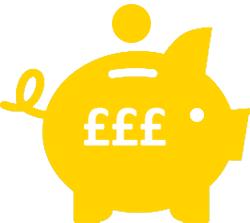 Schools - click here to contact us about becoming a SnapGifts partner and earn cash rewards!